Is There A Google Update? Penguin, Panda, Penalties Possible? 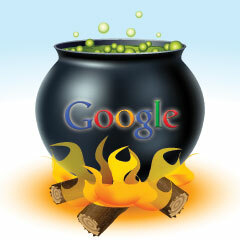 Home > Google News > Google Updates > Google Update Brewing? What Is Going On? Google Update Brewing? What Is Going On? As of yesterday, the WebmasterWorld thread and some other forums starting lighting up again with discussion and SEO chatter around Google's search results starting the shuffle and fluctuate. These are typically signs of an update happening in Google. Maybe a Panda or Penguin refresh? Maybe a new Google bug? Maybe a new penalty or an old one being run again? Maybe Google is testing an algorithm or update? Or maybe it is something completely different or people are on crack? I do not know but earlier this week, when I saw similar discussion around this, I asked Google if there was a Penguin refresh and they said no. It wasn't Penguin, Panda or anything else. So do I go back to Google and bother asking about yesterday's increase in SEO chatter? Did you notice ranking and traffic changes between Monday and today? Update: I asked Google about this also and they said there was no Panda or Penguin update.